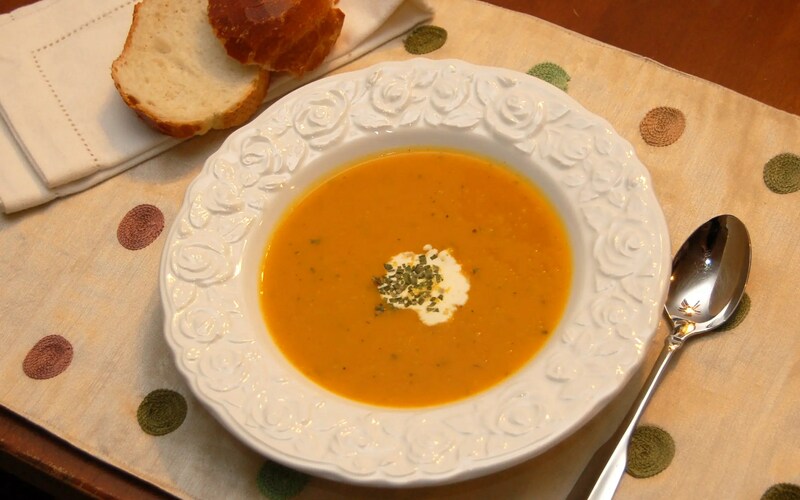 A nice warm bowl of soup can feel like a hug from the inside out on a chilly winter evening! I learned how to make a tasty bowl of soup back when I was a newlywed. I took a cooking class (one of the first of many) and the chef that taught it knew how to make great soup! I still apply many of the techniques he taught me to making soup today. 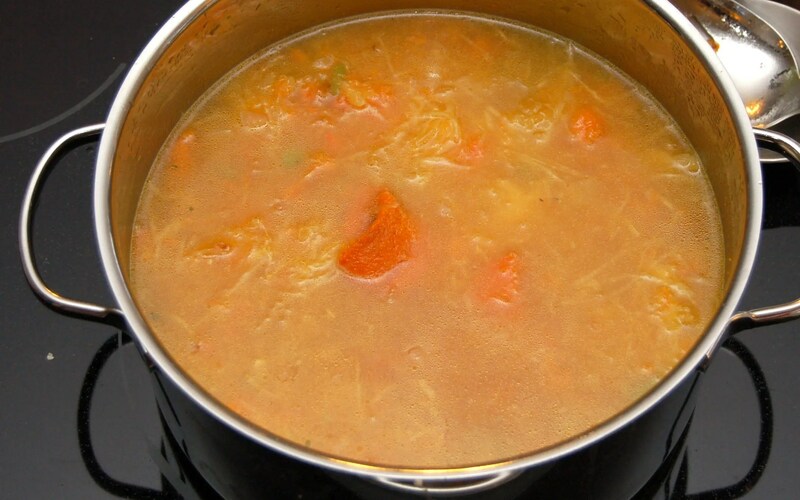 The thing about making soup is if you know the basics it’s easy to adjust the recipe to suit your family’s taste. First slice a variety of squash in half and remove seeds. 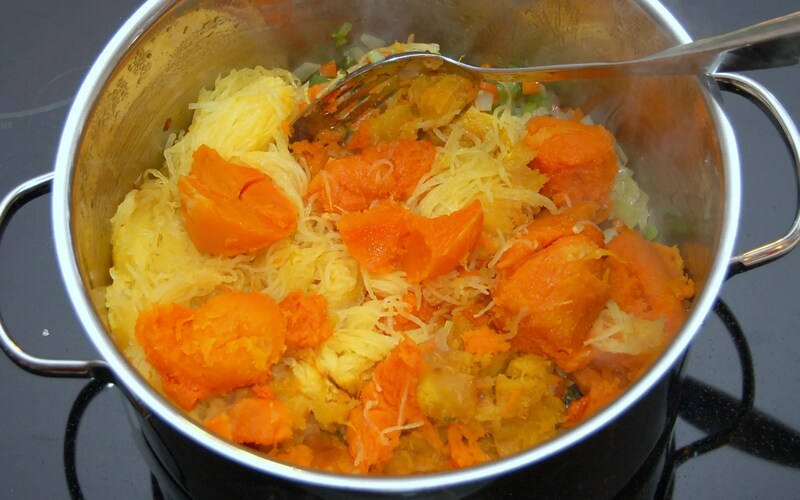 This time I used one small butternut, two small winter squash and one medium spaghetti squash. You can mix and match as you like. 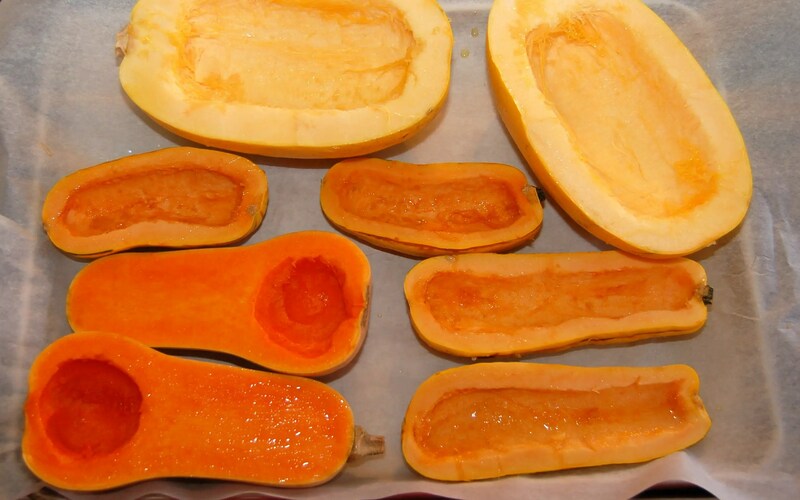 Brush the squash lightly with olive oil and roast in a 400 degree oven for about 30 minutes or until the squash is soft and slightly browned. When squash is cool enough to handle scoop out the flesh, place in a bowl and set aside. Rough chop onions, carrots and celery. Sauté onions, carrots and celery in olive oil until soft and aromatic. Add squash and chicken stock to softened veggies. Simmer the soup for at about 30 minutes. Let cool slightly. Then in small batches puree the soup mixture in a blender til smooth. Be careful with hot liquid in the blender as it can really splash out and burn! I usually only fill the blender about 1/2 full when the liquid is hot. Transfer pureed soup back into pot. Simmer for 30 minutes. Add cream if desired and enjoy! 3 tablespoons of fresh Sage. 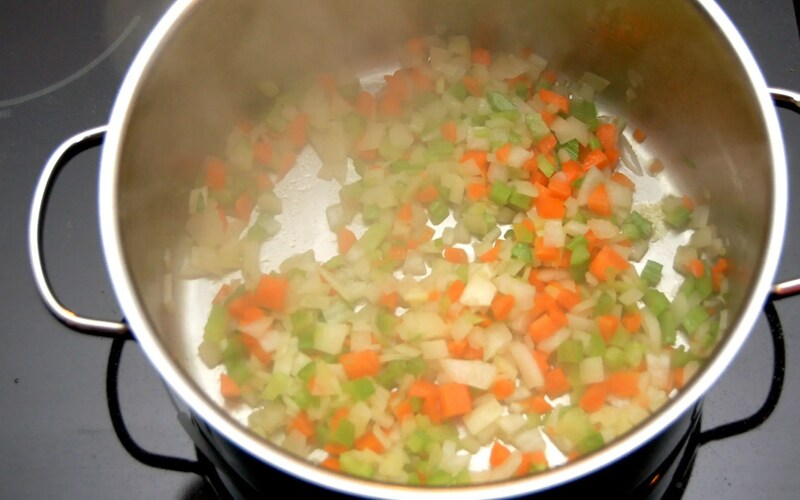 In a dutch oven or large pot, lightly sauté Olive Oil, Onions, Carrots and Celery. Sweat the veggies for about 5- 10 minutes until soft. This step helps the veggies to release their flavor before adding the chicken stalk. 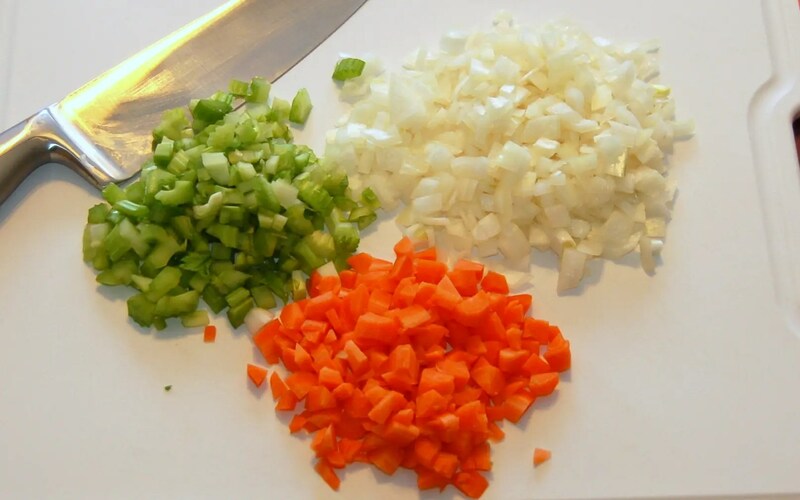 The classic mixture of onions, celery and carrot is known as a mirepoix. Once the veggies are soft add in herbs and salt and pepper. Mix in the roasted squash. Then add 2 quarts of chicken stock to the veggie and squash mixture. When buying chicken stock I try to buy the best quality I can find. Look for something low in sodium as many packaged stocks just rely on salt for flavor. I have found the organic varieties usually have the best flavor. Simmer the soup for at about 30 minutes. 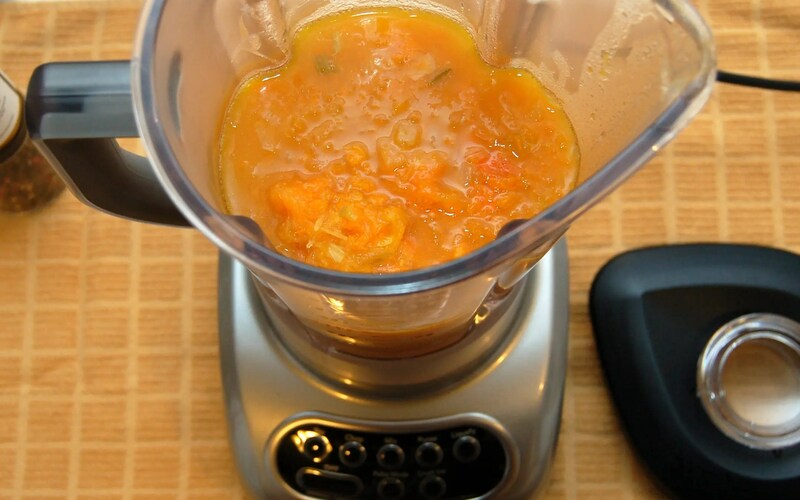 Let cool slightly Then in small batches puree the soup mixture in a blender 'till smooth. Be careful with hot liquid in the blender as it can really splash out and burn! I usually only fill the blender about 1/2 full when the liquid is hot. Transfer pureed soup back into a pot and add ¼ to ½ cup of half-and-half ( you can certainly omit this part – I just like the flavor it adds). Gently warm the soup (no boiling), and serve!